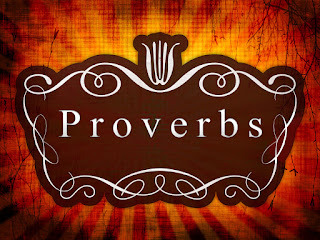 Proverbs’ Instruction for Parents: Proverbs are “rules of thumb” for living a life of faith in God’s world. In chapters 1-9 of this book, Solomon addresses the “son” and encourages him to listen to the “rules of thumb” his father and mother teach him, because this instruction will prove to be a great prize (1:8-9). Parents, especially fathers, should not ignore the emphasis in this book on their role in teaching their kids. Parents are the primary educators of their children in Proverbs, and that role should not be neglected. Topics to Talk About With Your Kids: Teaching must have a goal. Modern educational theory sees knowledge (cognitive skills), attitudes (affective skills), and abilities (psychomotor skills) as the goals of teaching. In Proverbs, the goal of teaching is (1) Faith, (2) Character, and (3) Wise Living. “The fear of the Lord is the beginning of wisdom, and the knowledge of the Holy One is insight” Proverbs 9:10—We must cultivate in our children a reverence for God and a personal knowledge of how He works rather than a sense of their own personal achievement. “My son, if you accept my words and treasure up my commands within you, turning your ear to wisdom and your heart to understanding, and if you call out for insight and cry aloud for understanding, and if look for it as for silver and search for it as for hidden treasure, then you will understand the fear of the LORD and find the knowledge of God.” Proverbs 2:1-5—We should not just seek passive acceptance of ’s teaching, but rather an active desire by children to seek wisdom for themselves. Conversation Starters: Ask your child, “What is most important to you? If you had one thousand dollars to spend on anything you want, how would you spend it? Where does God rank next to these things? What is it about God that makes him more valuable than things money can buy?” Be prepared to answer these questions yourself. 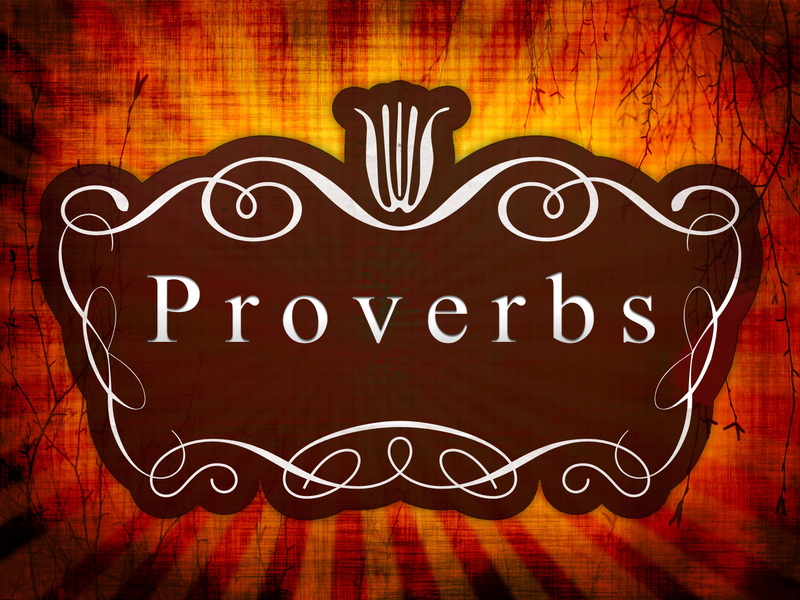 “[These proverbs are] for attaining wisdom and discipline; for understanding words of insight; for acquiring a disciplined and prudent life, doing what is right and just and fair; for giving prudence to the simple, knowledge and discretion to the young—let the wise listen and add to their learning, and let the discerning get guidance—for understanding proverbs and parables, the sayings and riddles of the wise.” Proverbs 1:2-6—Proverbs are written so that the young and simple can acquire wisdom, discretion, guidance, and sound judgment. Daniel J. Estes. Hear, My Son: Teaching and Learning in Proverbs 1-9. Eerdmans, 1997. Ian Fry. “God-Centered Teaching.” Children’s Desiring God Conference, 2009.